Finally I get to catch up with my beloved Nick Gaultier's story! I want to do BAD THINGS now! NOTE: Future participants, please use your BB&B LABEL LINK instead of the individual post link. Yes, I'm so happy I won copies! I'm borrowing Justice from Amazon since I'm doing the whole Prime membership. Especially after Cat @ Addicted2Heroines gave it her seal of approval! Have a great week! Ooh! Now I'm excited to read it! You should join her tour, she's looking for reviewers. Nice book haul! I don't think I've heard of any of these books, but they look good. Enjoy! I"m curious about Justice and I think I need to read the Kait for her tour too. Happy reading! Yay for Kait's tour! So excited to read her book! Hello SW. Nice haul of books. I also got Don't Bite The Bridesmaid as well. Looks like you had a nice strong week of books. Trafficed looks good. Come visit me too. I love Tiffany Allee and I'm hoping this one is as good as her OWEA series. Yes, Trafficked sounds dark, I love gritty books like those. I want to do bad things now too! 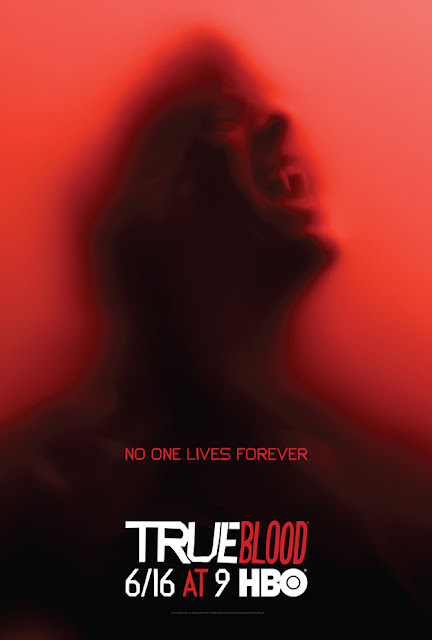 All the trailers are killing me...I miss me some True Blood something fierce! Gah! Inasmuch as I wasn't a big fan of last season's, I have to say I'm still looking forward to it. I hope they do a better adaptation. I can't believe Bill is the King now?! Great haul. I look forward to reading Keri Arthur Dancing With The Devil. Gosh I was so excited to find her new series! I haven't read any of her books and I'm hoping this one is a great place to start. Thanks, I love Tiffany Allee! You should give her books a try if you haven't yet. Yay! You're going to read Justice! =) I see a lot of other books that look great too. Hope you enjoy them all. Thanks Cat! I do remember seeing Justice in your blog a while back. She's doing a mini book tour, since you've read it maybe you can join. I know she's looking for more bloggers to participate. I might get to it next week. Been waiting for the book from the library for ages! Yes!!! You got Infamous and Inferno! Can't wait to see what you think of them! IKR?! Took our library long enough to get them. I need me some Nick Gaultier?! Yes, just waiting for approval for book 4! I seriously need to binge on it and then some. Great haul!! I got Twilight Hunter too and can't wait to get started! Oh, tell me what you think of Dan Brown's new book. I didn't read his last one but maybe I'll give this one a try! The Lost Symbol isn't my favorite, I started reading Inferno today and so far it's looking better than the previous one. Decided to stalk you a little today. HI! So have you read any Keri Arthur? You know I love her. Well if you didn't know, now you do!